Visit Omega Pacific's Omega Snow Anchor page. The first pickets were almost accidentally designed, believe it or not. Plain old angle stock was drilled and threaded for use in the mountains and that tradition hasn’t changed much in all these years. 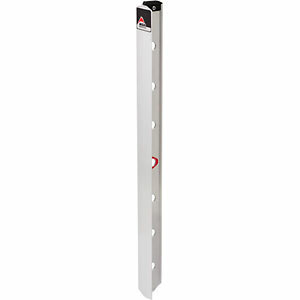 Our pickets, however are designed from the ground up exclusively as snow pickets. 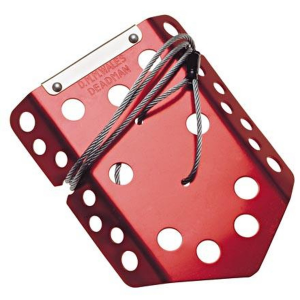 Extruded from 6061 T-6 aluminum, the anchor-shaped profile holds better in snow and with no sharp edges, they won’t snag packs or shred ropes, either. 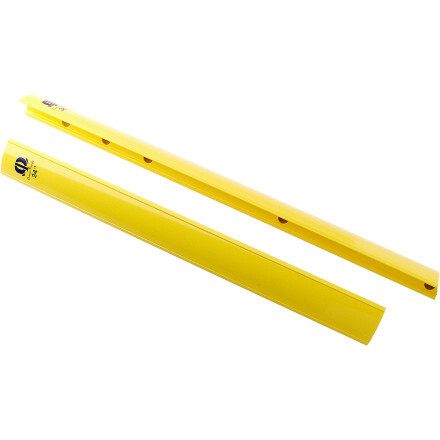 Powder-coated high-visibility yellow, they’re available only in 36-inch lengths. 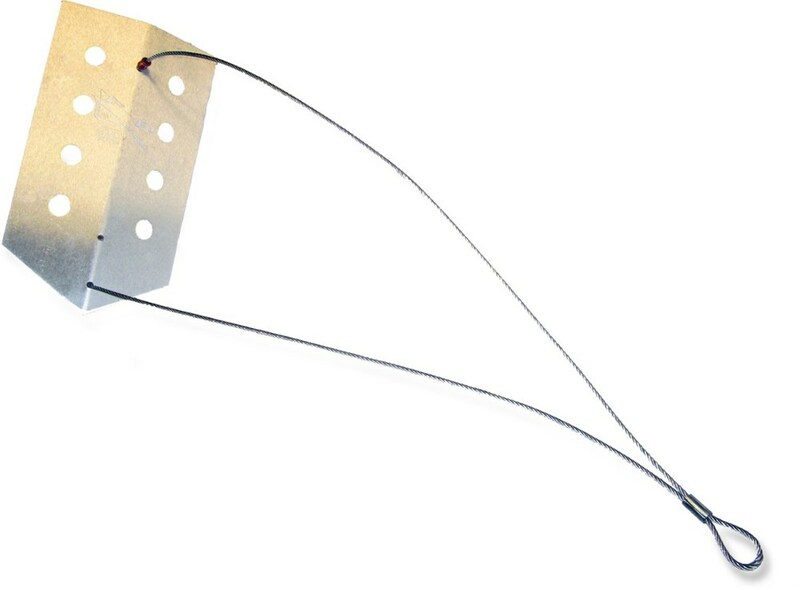 Omega Pacific's sturdy Snow Anchors are designed with durability and safety in mind. The anchor-shaped cross section locks into snow without the sharp edges that can cause damage to your ropes or pack. 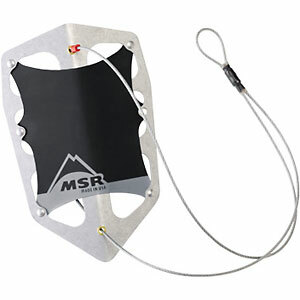 Omega Pacific designed the Snow Anchor for easy, intuitive use during glacier crossings and other alpine adventures. High-visibility paint helps you track your line and gear; Omega Pacific also omitted sharp edges so you won't accidentally punch holes in your pack. On Sale. 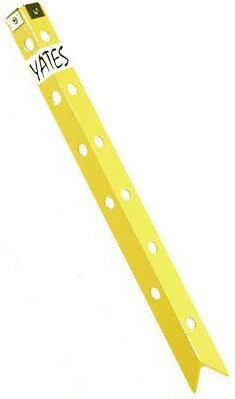 Omega Pacific Omega Snow Anchor FEATURES of the Omega Pacific Omega Snow Anchor Made from 6000-series aluminum Anchor-shaped cross section holds better in snow than any other picket available Zero sharp edges ensure they won't cut packs, jackets, or shred ropes Beveled spike on one end to provide easier, speedier placement Color-coded for high visibility SPECIFICATIONS of the Omega Pacific Omega Snow Anchor 6000-series aluminum The SPECS for 24in. Length: 610 mm / 24in. Weight: 19 oz / 526 g The SPECS for 36in. Length: 914 mm / 36in. Weight: 27.3 oz / 774 g ALL CLIMBING SALES ARE FINAL. 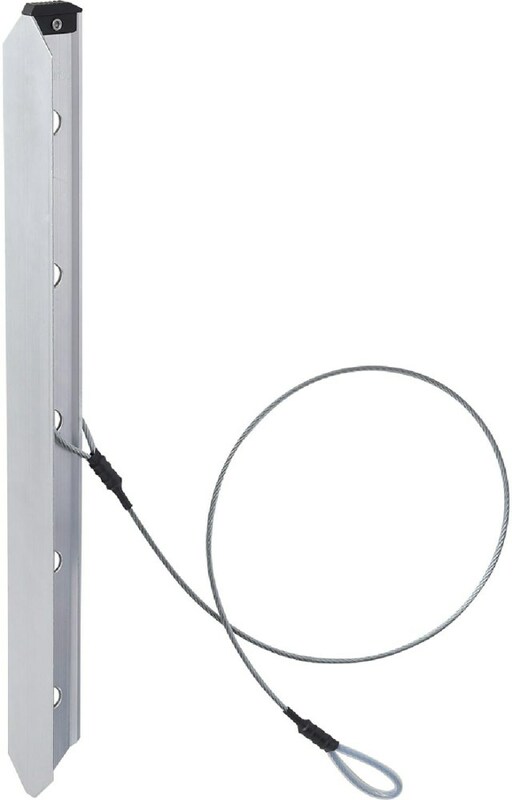 The Omega Pacific Omega Snow Anchor is not available from the stores we monitor. It was last seen February 5, 2015	at Mountain Gear.